Were Hedge Funds Right About Piling Into Ferrari N.V. (RACE)? Ferrari N.V. (NYSE:RACE) investors should be aware of an increase in enthusiasm from smart money of late. 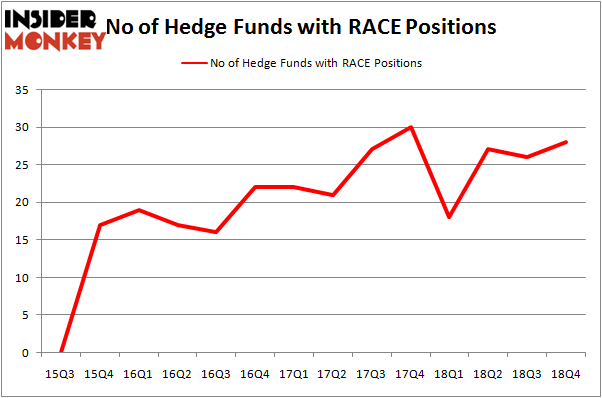 Our calculations also showed that RACE isn’t among the 30 most popular stocks among hedge funds. In today’s marketplace there are a large number of indicators investors use to evaluate stocks. A pair of the less known indicators are hedge fund and insider trading moves. We have shown that, historically, those who follow the top picks of the top money managers can outperform the market by a superb margin (see the details here). We’re going to take a glance at the fresh hedge fund action encompassing Ferrari N.V. (NYSE:RACE). How are hedge funds trading Ferrari N.V. (NYSE:RACE)? 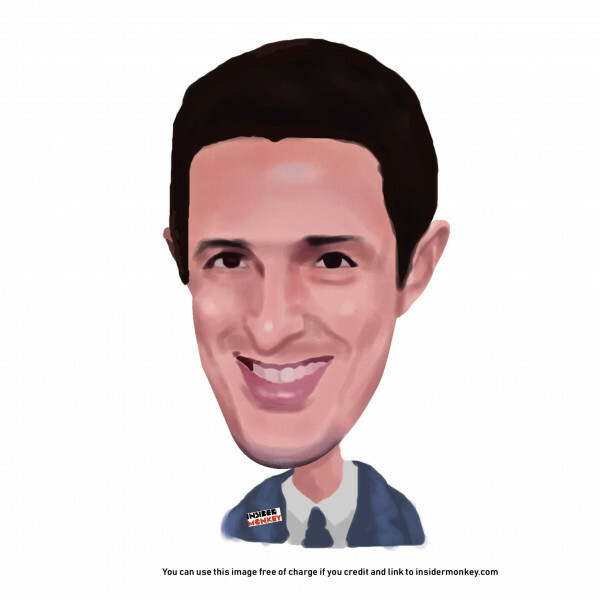 Heading into the first quarter of 2019, a total of 28 of the hedge funds tracked by Insider Monkey held long positions in this stock, a change of 8% from the second quarter of 2018. On the other hand, there were a total of 18 hedge funds with a bullish position in RACE a year ago. With hedgies’ sentiment swirling, there exists an “upper tier” of noteworthy hedge fund managers who were upping their stakes meaningfully (or already accumulated large positions). Among these funds, Darsana Capital Partners held the most valuable stake in Ferrari N.V. (NYSE:RACE), which was worth $208.8 million at the end of the third quarter. On the second spot was D1 Capital Partners which amassed $200.4 million worth of shares. Moreover, Melvin Capital Management, Alatus Capital, and Aquamarine Capital Management were also bullish on Ferrari N.V. (NYSE:RACE), allocating a large percentage of their portfolios to this stock. With a general bullishness amongst the heavyweights, key hedge funds have been driving this bullishness. D1 Capital Partners, managed by Daniel Sundheim, assembled the largest position in Ferrari N.V. (NYSE:RACE). D1 Capital Partners had $200.4 million invested in the company at the end of the quarter. Gabriel Plotkin’s Melvin Capital Management also made a $26.4 million investment in the stock during the quarter. The other funds with brand new RACE positions are Jordan Moelis and Jeff Farroni’s Deep Field Asset Management, Ari Zweiman’s 683 Capital Partners, and Jim Simons’s Renaissance Technologies. Let’s go over hedge fund activity in other stocks – not necessarily in the same industry as Ferrari N.V. (NYSE:RACE) but similarly valued. These stocks are Equity Residential (NYSE:EQR), Corning Incorporated (NYSE:GLW), MPLX LP (NYSE:MPLX), and AvalonBay Communities Inc (NYSE:AVB). This group of stocks’ market caps are similar to RACE’s market cap. As you can see these stocks had an average of 22.75 hedge funds with bullish positions and the average amount invested in these stocks was $509 million. That figure was $855 million in RACE’s case. Corning Incorporated (NYSE:GLW) is the most popular stock in this table. On the other hand MPLX LP (NYSE:MPLX) is the least popular one with only 11 bullish hedge fund positions. Ferrari N.V. (NYSE:RACE) is not the most popular stock in this group but hedge fund interest is still above average. This is a slightly positive signal but we’d rather spend our time researching stocks that hedge funds are piling on. Our calculations showed that top 15 most popular stocks among hedge funds returned 19.7% through March 15th and outperformed the S&P 500 ETF (SPY) by 6.6 percentage points. Hedge funds were also right about betting on RACE as the stock returned 32.5% and outperformed the market as well.